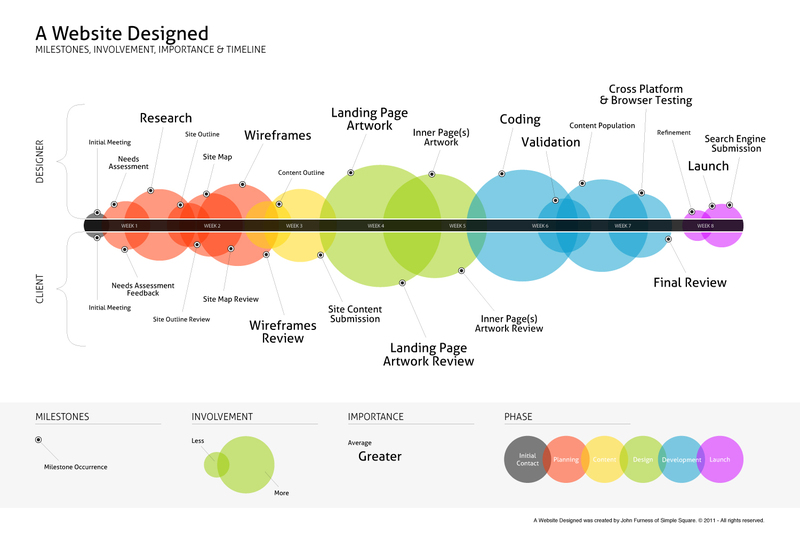 I found this infographic and thought it would be useful both to web design clients and less experienced designers to have a better understanding of the web development process, thus easing communication before and during the process. Note: Every web designer or web development team has a design/development process of their own, and processes vary depending on the magnitude and complexity of the project. However, many of the steps described in the infographic below can usually be found in most processes.